I saw this movie on opening night. I enjoyed it. I went home. I almost forgot about it. But let me back up. I love what Marvel has done with superhero films. I think what made Iron Man so great was that it didn’t take itself too seriously. It was self-aware. It was what we all wanted deep down and didn’t even realize. Captain America was very different, more historical and tragic, but it was about the American spirit and hero we all want. It touched something different inside us than Iron Man did. And then Thor was different because it took place in Asgard, a whole new world that was fascinating. And he’s a fish out of water when he’s on Earth. And all these movies have great lines and great side characters: Pepper Potts, Peggy Carter, Sif and Loki, etc. Where The Incredible Hulk unfortunately suffered in all this is that it was still just a regular superhero movie, like all the others we had seen before Marvel and Christopher Nolan changed the game. Apparently Edward Norton, who played the Hulk back then, was super involved in the writing of the movie, and he was a big fanboy of the Hulk. This sounds awesome in theory, but I wonder if he was trying so hard to fit the Hulk in this box that he had created that it didn’t give the character the chance to shine. I’ll admit, I still wasn’t sold on Mark Ruffalo’s version of the character in the first Avengers movie, but I can give Age of Ultron the credit for making me care about him much more this time around. Or maybe what I should say is for making me care about Bruce Banner, the person underneath the Hulk. While we are talking about character exploration in Age of Ultron, I’m going to say that is the movie’s strength, and that is what has stuck with me since walking out of the theater. There’s been a lot of talk about Black Widow in this movie, and say what you will about her role, but I think we got to see a whole new side of her and I was really glad to see it. Would it be cool if this was explored more in a movie or TV show? Yes. Will I move on with my life if it’s not? Yes. We see a much more vulnerable side of Natasha, but I don’t think she’s ever portrayed as weak. And while (mild spoiler) the interest between her and Banner did kind of surprise me and I wasn’t entirely sure I was 100% there with it (since we’ve had no build-up to this it felt like it came out of left field), I don’t think this weakened her either. It made her human. Same with their talk about infertility, which he started. I also appreciated that we finally got more from Hawkeye, after that poor guy got brainwashed in the first Avengers movie. His character has become a more relatable, almost every-man sort from this movie, and I thought that was a nice touch. The addition of Quicksilver and Scarlet Witch really didn’t do a whole lot for me, though funnily enough, their best moments were when they were with Hawkeye. Quicksilver and Hawkeye had their running, “What, you didn’t see that coming?” joke, and Hawkeye hyped up Scarlet Witch for the battle against Ultron. (Highlight for spoilers) Ultimately, the death of Quicksilver did very little for me. It made me sad for his sister, because it obviously put her in a lot of shock and pain, but I wasn’t sad for anyone else or for me. I had barely started kind of liking the guy when he died, though I appreciated the act that led to his death, especially when I was starting to worry that Hawkeye was going to be a goner. There was no real emotional resonance with it. There’s also the introduction of Vision, who is sort of interesting? We’ll have to see what happens to him in the future. We really get very little development with him at all. Now let’s talk about the villain, Ultron. Even though he demonstrates just how much he is capable of, I never really feared that the whole entire world was actually in danger of this guy. I know it sounds ridiculous to say the stakes weren’t high enough when the whole idea was that he wanted to destroy the world but seriously, they weren’t high enough, because I was never worried that he would actually accomplish this, and not just because it’s a movie and I know it’s going to turn out OK in the end. But that could have been part of the problem. In Captain America: The Winter Solider the movie ends with SHIELD in shambles. It’s not a happy ending. While it was still probably surprising for many people watching the movie (unless they watched Agents of SHIELD, which they should have, honestly), destroying SHIELD is a much more viable option for a movie ending than destroying the world. But really, I think it was mostly that Ultron never truly frightened me enough. But, the way Ultron was created was fascinated and I hope that comes back up because even though there is heated debating about it in the movie, it definitely feels kind of glossed over in the grand scheme of things. All in all, this is another solid movie from Marvel, enjoyable, witty lines, and some pretty good character development, but there were some weak spots in the movie that keeps it from being a favorite in the long run. 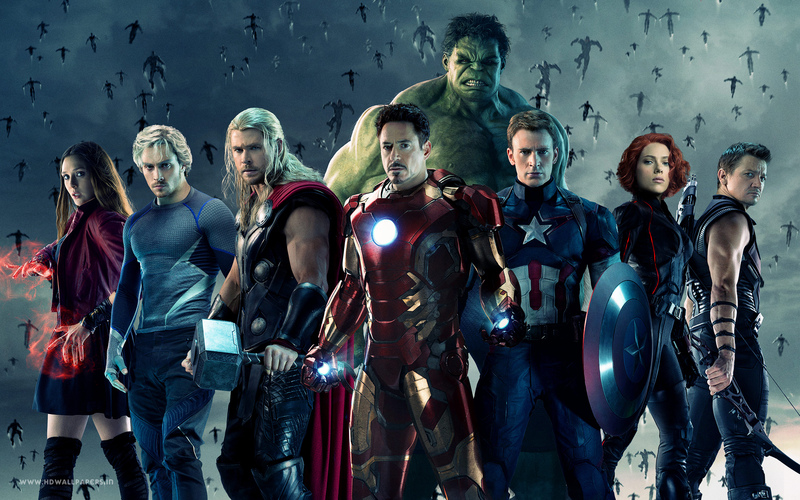 If you’ve see Age of Ultron, what are your thoughts?